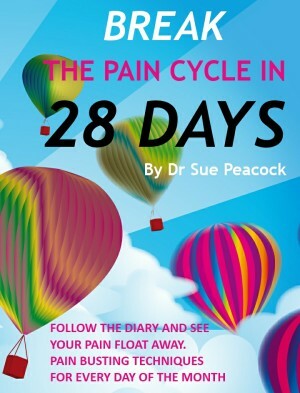 Follow the diary and see you pain float away. Pain busting techniques for every day of the month. Click the link below to order a copy of the book on Amazon now! It is well known that disrupted sleep will, in turn, increase your chronic pain problem. Therefore this becomes a vicious circle in which the pain disrupts your sleep, and difficulty sleeping makes your pain worse, which in turn makes sleeping more difficult and so the cycle continues. 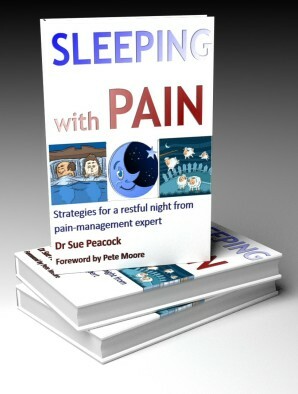 In this book - Sleeping with Pain, firstly we explore insomnia secondary to chronic pain and secondly how to change your thoughts, bedtime rituals environment and re-programme your sleep so you finally get a good night’s sleep. Click one of the links below to order a copy of the book on Amazon now!